Last year, I rounded up 43 industry experts and asked them about their outlooks for rideshare in 2015. The responses we got were pretty impressive, and that post ended up being one of our top shared posts of all 2015. It also turned out that a lot of those predictions came true. It’s always fun to predict the future, and for this year’s round up I managed to get 55 rideshare industry experts that range from venture capitalists, CEOs, reporters, academics, start-up founders and bloggers to even a few drivers themselves. My goal with these posts is to learn what others think are the most pertinent issues in the industry and expose their thinking to a whole new audience. It’s a pretty good bet that the co-founder of a rideshare start-up is going to have a different outlook than an academic studying the industry. But both parties have devoted a huge amount of time researching their respective fields and there’s a lot of knowledge that can be shared there. What will be the single biggest issue/hurdle/obstacle of 2016 for on demand workers and/or the industry in general? Bonus: And what major changes do you expect/want to see? Pro-tip: Share this post in your favorite rideshare Facebook group. Click here to share this post on Twitter. If you want the summary, we saw a big shift from last year’s talk about regulation of rideshare and viability of the business model to what I like to call “how are we going to make this work?” This industry is obviously here to stay (and it’s growing) but there are still a whole host of unresolved issues and problems. Some of these issues, like the employee misclassification lawsuit, will get resolved in court but the others are much less certain. The real question for me is who is going to be the one (or ones) to solve a lot of these problems? Employment issues: The Uber (and Lyft) employee misclassification lawsuit in California dominated this year’s responses but it actually may pose an even greater risk to the smaller and medium sized companies. Uber’s probably going to survive regardless of the outcome, but the same can’t be said about a lot of other companies. We’ve even seen a couple companies (like Shyp and Instacart) proactively convert some of their 1099 contractors to employees. More benefits, worker protections and legislation: It might be years before the Uber lawsuit is resolved, but in the mean time, workers’ rights are still front and center. We’ve seen workers in many cities take it upon themselves to organize and there are many organizations pushing for ‘portable benefits’. Ultimately though, this issue may have to be resolved by legislators, since the on demand companies themselves aren’t exactly raising their hands to give more money back to their workers in the form of benefits (investors seeking a return play a big part here). Profitability and lack of funding: We all knew it would happen eventually, but 2016 may be the year that funding dries up completely. Investors have poured a lot of money into the on-demand economy, but the returns haven’t materialized just yet. It’s likely that we’ll see more companies shift towards profitability and funding will be at a premium in 2016. Cottage industry opportunities: I’m a bit biased on this one since I’m one of the companies providing support to workers (in the form of content and information), but whether drivers realize it or not, they have a lot of obligations as 1099 workers and business owners. 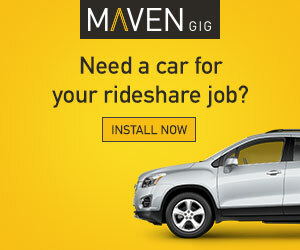 The number of rideshare drivers in the US will probably top one million in 2016, and all of them need help with taxes, insurance, income/expenses and work optimization. Bigger and more established companies like Intuit and Stride Health have jumped on this opportunity but there are also a whole host of smaller players/start-ups like Vugo (rideshare advertising) and myself looking to help. Lower and lower wages for workers: A common complaint from the drivers surveyed is that wages are still trending down. Uber competitors are looking to take advantage of that growing discontent, but will they really be able to pay workers more and make the numbers work? Right now, we’re seeing high churn in the industry (and Uber specifically) but the real question is will it ever affect the product they’re putting out to consumers? Conflicts involving on-demand workers entered the general public’s lexicon in 2015. Whether people have used these services or not, employment issues surrounding the on-demand economy have surfaced in numerous cities around the world and have been prominently featured in major news sources. The biggest hurdle for on-demand workers in 2016 will be winning the battle to receive expanded benefits from the companies they work for. Price wars between companies continue to cut wages at a moment’s notice and have amplified the debate regarding collective bargaining. Seattle recently passed a bill that will allow on-demand drivers to legally unionize, and I expect we’ll see more pushes like this from municipalities in 2016. We’re even starting to see some on-demand companies anticipate regulation and choose to give employee status to their workers (one example being Shyp in San Francisco). I expect we may see more of this in 2016 but mainly from smaller or more niche companies. We continue to see wins for on-demand companies in the courtroom, more recently Lyft settled a lawsuit in California that will keep workers classified as contractors in exchange for providing them notice if they are in danger of being deactivated from the platform. The upcoming class-action lawsuit filed by Uber drivers will be interesting to watch and will likely set a precedent for things to come. The line between independent contractor and employee is blurrier now more than ever, and I hope to see regulatory bodies consider alternative and improved ways of classifying on-demand workers. Strong and innovative leadership at the highest levels of government will be needed to ensure fairness and some measure of legal standardization across the nation. The impressive growth seen in ridesharing over the past few years has created a massive population of workers pursuing new income opportunities for themselves. However, our data shows that on-demand workers, such as those driving for Lyft & Uber, are leaving money on the table in the form of missed deductions and confusing financial requirements. Products like QuickBooks Self-Employed and TurboTax can help drivers maximize these deductions, track their mileage and ultimately be more profitable. Uber describes itself as a technology company that plays a limited intermediary role to connect service providers (drivers) with consumers (passengers). In 2015, we’ve seen how employment structures and hierarchies emerge through software. Uber’s platform is designed to automate the management, logistics, and performance evaluations of workers, but there is no “foreman” to mediate driver concerns with the company-platform. The big question for 2016 is, what forms or shapes will worker empowerment take in the on-demand industry? I’d like to see stakeholders dive deeper into the differences between the types of work on-demand companies scaffold through platforms. What kinds of work goes into hosting on Airbnb? What are the major challenges for care/cleaning platforms and marketplaces in the on-demand space? Is Lyft the ‘Canadian’ version of Uber, or are its practices and structures distinct? Let me answer this in the positive – on where we’re working hard and where we see the biggest opportunity in 2016 (versus what we think as hurdles.) Next year, more people will see independence and flexibility as core to “good work.” This means more women taking the wheel on ridesharing platforms in the U.S. and globally. And ridesharing will become a regular part of people’s daily lives, whether it’s to get where you need to go, or earn money towards a goal. This one’s easy: the class action lawsuit challenging the classification of Uber drivers as independent contractors. If Uber doesn’t end up settling this lawsuit, and it goes to a jury trial as expected, the outcome could have a profound impact, not just for Uber, but for the entire on-demand/gig economy. As a reporter who covers ride-sharing and transportation, I hope and pray for as many “major changes” in this industry as possible. Chaos is a journalist’s best friend. But as a human being, I would like to see better relations between the platforms and the workers. I feel like much of the initial excitement about these jobs has since been replaced by distrust and frustration. And now that they’ve upended several industries, I think it’s incumbent on these companies to start thinking about how to ensure these jobs are sustainable in the long-term. The biggest hurdle for on-demand workers will be management of income flow weighed against the costs carried by the workers. In particular for drivers of Lyft and Uber – where income is variable based on factors like surge and at-will price cuts – unfortunately, I would not be surprised if we see more drivers finding themselves financially underwater. I’d like to see more transparency from some of these companies on their financial positions. Given the growth of the industry and the large numbers of people working in on-demand labor, you could argue there’s a responsibility for companies to ensure more stability and predictability for workers. I hope that the results of the Uber legal proceedings, and any relevant scrutiny by lawmakers, can provide at least some basic guidance for this. Personally, I think the biggest issue for “On Demand Workers” is becoming aware of the financial obligations as you prepare for taxes being self employed. The concept of on-demand services is a wonderful option for those looking to create an income for themselves. But the lack of information regarding this topic is where I think the most issues will arise. My advice would be to look at the tools you are utilizing and what the actual expenses will be so you know what to expect! 2016 will be the year in which we begin to get — for better or worse — greater clarity around the key legal and policy issues for ridesharing and the broader on-demand economy. We will see some lawsuits settled, others determined by a jury, and (hopefully, if we can get past the current spectacles) the fundamental issues debated by presidential candidates. Forward-thinking policy makers will draft groundbreaking rules that embrace new business models and experiment responsibly with social safety nets. On-demand platforms will become bolder in taking care of their service providers and community members; those who do so authentically will see greater growth and success. There will be increased recognition across-the-board that risks and responsibilities must be shared — and that new opportunities to create inclusive markets open up when we do. I would love to see more and deeper partnerships for services to support on-demand workers, particularly around tax and financial planning. These kinds of partnerships are win-win-win — they solve pain points for workers, platforms and policy makers alike — and should be a top priority amongst each of these stakeholder groups. I also expect we’ll see more experimentation and growth around new business models, including “platform cooperatives” and other mechanisms whereby ownership, upside and responsibility are shared in new ways. Every young business has a bar mitzvah moment, where companies in that business have to show that they have the capacity to generate profits, not just buzz, riders and revenues. For the ridesharing business, that moment is getting closer and it will be interesting to see which of the players will pass the test. In 2016, I think we’ll see ride-sharing companies deal with struggles on the supply side, both in terms of having more drivers on the road but also the quality of those drivers. We’ve already seen murmurs of this with drivers protesting in NYC, the creation of Juno, and the seemingly always-on surge pricing in cities like LA where drivers tend to be more selective. If churn continues to increase, customers might grow increasingly dissatisfied with a company like Uber and potentially switch to Lyft, or just use it less frequently. Driver-related issues will only become more important as ridehailing becomes widespread and companies will have to find a way to navigate them. As for major changes, the 1099 case to be heard in California this summer will create major shockwaves throughout the on-demand economy, so everyone should be watching its outcome. It’s too early to predict which way it will go, but this is likely a big milestone for the on-demand economy as an industry. Based on the industry trends that we saw in 2015, I think the biggest hurdle on demand workers will face in 2016 is rates that are constantly dropping due to competition between the biggest players in the industry. As companies like Lyft and Uber battle for market share, they drop rates at a record clip. 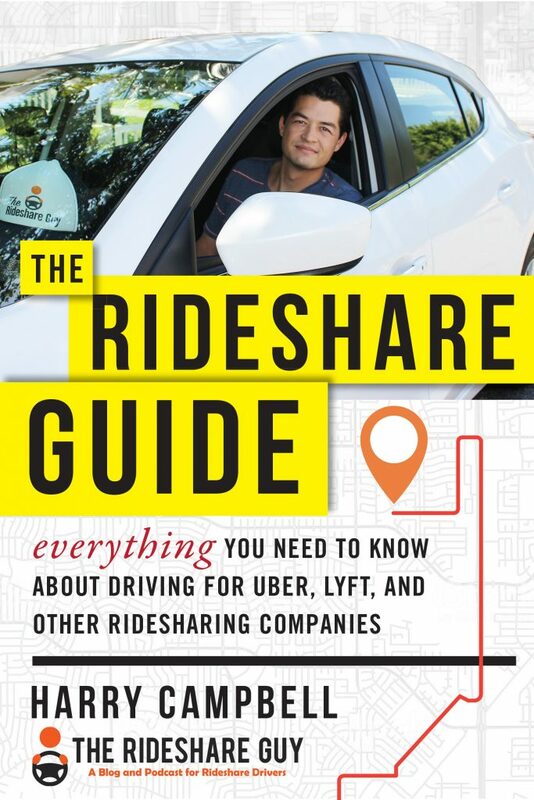 This is great for riders, but really tough on the majority of drivers that rely on rideshare driving to make ends meet. I think another big thing to keep an eye on is automation. Uber and Lyft are in the process of developing self-driving cars, and while I don’t think this will be an issue for this year, I do think that automated workforces are coming sooner than we think. That’s not to say that all drivers will be replaced by autonomous vehicles, but I do believe it will change the rideshare landscape substantially. Personally, I would like to see a push for even more technological advances throughout the entire industry, but for drivers in particular. I think it would be really cool if these types of companies introduced a suite of productivity tools such as scheduling, earnings and efficiency calculators, and things of that nature. There are ways for drivers to leverage these types of tools now, but I think it would be cool if they were integrated straight into the driver apps themselves. The controversy over gig workers’ employment classification will come to a head with the Uber driver class-action lawsuit, and increasing public policy discussions of whether there are options outside of the black-and-white employee or independent contractor model. Expect to see major movement in creating new alternatives to address the needs of gig workers, such as portable benefits. 2016 is the year when Uber’s labor issues in the U.S. will come to a head. Drivers who rely on Uber as their primary or substantial source of income might be a minority, but are in fact responsible for the vast majority of rides given on Uber’s platform. These full-time drivers have become increasingly disenchanted with Uber and its ceaseless rate cuts leading to their income being repeatedly slashed. Many of these drivers in California have now signed on to the employee misclassification #UberLAWSUIT. Their inside knowledge of the extra contractual & excessive control exercised by Uber will strongly bolster the plaintiff drivers’ case. My bold prediction is that in 2016, plaintiff drivers will win the jury verdict in the Employee Misclassification #UberLAWSUIT. Workers: With lower prices and increased commissions, drivers are really going to have to run a tight ship and be perceptive to other earning opportunities. As the tech bubble deflates, drivers may see less earning opportunity as a result of less investment in the on-demand industry. Industry: On-demand companies will fasten their seat-belts and place their trays in the upright positions as many of them barrel towards the end of their runway. An increase in interest rates, combined with the questioning of present valuations for many firms will make it more difficult to raise capital or start the “Uber for X” type service this year. Existing companies will face a tighter environment if they wish to engage in more funding rounds. This isn’t to say that the industry will hurt so much, as it is reaching a new stage of maturity where speculation begins to dial down and entrenched players move more towards stable policies for drivers and passengers. I would like to see more stability and training for drivers and delivery people. There are a lot of inefficiencies for driver/contractor/workers that can be eliminated with simple education on traffic laws, taxes, vehicle operations, and other small business strategies. There is also room for innovation in how these workers receive basic benefits such as healthcare, retirement, or disability. Because we are in the insurance end of the rideshare community, we spend a lot of time with insurance carriers discussing the insurance gaps and/or issues that apply to rideshare drivers across the country. We believe based on everything we have learned and seen in the last year that by the year’s end there will be some major changes in how insurance carriers will handle the rideshare policies. We think that drivers will be required to have a rideshare insurance policy by year end. Also with so many new and different TNC companies popping up all the time, there will be many more new insurance issues that arise and many more changes in how insurance companies handle these. It should be an exciting year in many ways for the rideshare community. We hope to see all rideshare drivers get proper coverage. We’ll see Uber go to trial in June, and the issues that are brought up there could have an impact on the on-demand economy as a whole. But I think we’re well past the question of whether independent contractors will continue to exist on on-demand platforms—market demand and the willingness of folks to try the model out as workers shows it’s here to stay. I think the other thing to watch is new legislation coming from locales that try to carve out exceptions to the federal labor law that allows private-sector employees to organize into unions but doesn’t apply to independent contractors. Seattle has already passed legislation to let drivers collectively bargain with on-demand driver companies regardless of how their classified; California has something similar in the works with its California 1099 self-organizing act, which applies not only to drivers but all types of on-demand workers. There may be more coming from other places in 2016. I do think the changes will come rather slowly. When I talked to the Secretary of Labor about the on-demand economy earlier this year, he alluded to the idea that we need a policy of similar magnitude to the National Labor Relations Act (enacted in 1935!) to apply to labor issues of these new on-demand worker models. But he always deferred to the long view when you pressed him on specifics of what such a policy might look like. So in 2016, realistically? I expect to see more incremental moves and local conflicts rather than sweeping changes to federal law in 2016. Incremental changes can be important, too, and I am looking forward to getting more clarity around these labor issues within the year. I believe the biggest obstacle for drivers is change. We are now part of an industry that’s growing so rapidly, whether it’s fare fluctuation or rideshare regulations, we are hit with a lot and it can be a bit frustrating at times. My advice these days to people is to spread yourself out a little bit and have a back up plan. What I would like to see in the future is passengers actually being able to request their favorite drivers. I feel that this way it would open up more revenue for drivers that go above and beyond like myself and many others. And I also think our passengers will enjoy riding with us again. I think specifically the hardest thing for on-demand workers is to actually generate enough revenue to support the time spent operating in the industry. Specifically what we’re seeing with rideshare drivers is that after accounting for wear and tear, the net earnings by drivers is less than impressive. I would like to see the rideshare platforms stop the cuts to drivers wages and/or let them know that the current driver rates will remain the same for the next 1 or 2 years. Injuries will be a big roadblock this year for ridesharing drivers and those in other parts of the gig economy, where the line between contract worker and employee is blurred. Workers’ compensation is a complex and demanding issue that can be a costly headache that delivers a hit to a company’s bottom-line. As on-the-job injuries mount – as they tend to do regardless of the industry – pressure will be applied by plaintiffs’ attorneys and regulators to find a way to deal with people who have mounting medical bills and lost income. Something will give. Whether that’s more expensive products and services, less money for people doing the work, or less work to go around, is anyone’s guess. Look for more committees, subcommittees, special joint sessions, studies, reports, polls, and town hall meetings. It’s an election year and you can count on politicians who will embrace to opportunity to come in as savior a for on-demand workers or a guardian of innovation. In 2015, Uber and Lyft piled up a ton of venture capital money, new users and drivers, but they also piled up a few dozen lawsuits too. What happens if the venture capital money stops coming in and the lawsuits don’t go their way? Lawsuits and a tech bubble burst are the two big, scary things that have the power to change business as usual for drivers in 2016. If the rumors floating around Silicon Valley are true and venture capital money starts to dry up, and if any of those lawsuits end with a major judgement against the companies, Uber and Lyft will have to scramble to change their business model to something more profitable and driver friendly. The price cutting wars could come to an end, but so could rapid expansion. For drivers, a more profitable Uber and Lyft might mean that prices will go back up, or the number of drivers on the road will go down. That would be good for driver earnings, but it would likely mean a big change to the flexible, hardly-regulated system we all have a love-hate relationship with. If Uber and Lyft are forced to give drivers the same rights as employees, prices are sure to go up, but so will regulation. With more regulation, your driving job might start to feel a lot like any other job, with bosses breathing down your neck and a host of new rules to follow. One thing is for sure: Your job with Uber and Lyft won’t be the same a year from now. If you’re using Uber and Lyft as a way to keep yourself afloat while you’re looking for your next job, don’t get too cozy with Uber and Lyft while you job hunt. If you’ve decided that driving is your next career, start to work your way into the professional livery market, where the most successful self-employed drivers are working. Good luck out there. I expect to see two trends continue in 2016 that will make things more difficult for on-demand workers. Without an influx of venture capital to keep them afloat, struggling companies will start to fold. At the same time, big players like Uber will continue to make changes like fare cuts that can hurt drivers, knowing that new workers will always be willing to take the place of any who quit. The single biggest obstacle for the on demand “sharing” economy is the never ending price war between Uber and Lyft which has been cutting into the bottom line for drivers for several years now. Drivers are the lifeblood of these two companies, and with many drivers leaving in droves due to the unsustainable nature of these jobs, each company has to take a hard look at what made them successful in the first place. We are the brand ambassadors and need to be treated as such. A second huge obstacle will come if the state of California rules in favor of the drivers, and we need to be treated as regular employees. Then the entire sharing economy model will change drastically. The jury is still out, but 2016 should be a make or break year for rideshare. The biggest hurdle for on-demand workers for Uber, Lyft and similar ride services will be the continuing wage cuts as companies slash fares amid intense competition. The perks that drivers have depended on – Lyft’s Power Driver bonus program and surge pricing – are becoming less lucrative, and drivers will continue to feel that pain this year. Those that made an unwise investment to lease a car through one of Uber’s leasing programs will continue to face a hefty monthly payment as their wages decline and will find themselves particularly stuck. Now that Uber and Lyft are widely considered permanent fixtures in communities – you aren’t seeing cease-and-desist orders anymore – the second-tier challenges are revealing themselves. Uber and Lyft will have to negotiate some thorny agreements for improved background checks, which many believe are inadequate, insurance policies, transportation of disabled passengers, and data collection and data sharing. The ridehailing industry is also bracing for significant legal decisions about driver classification. The California class action suit against Uber goes to trial in June, and a decision by the National Labor Relations Board on pending charges against Uber and Lyft regarding driver classification may also come down this year. One change we will see is more partnerships between municipalities and public transit agencies and Uber and Lyft. Both companies have been working to forge deals with public transit apps and agencies, although most are in their infancy. I expect these partnerships will mature during 2016. Already, Uber has partnered with Altamonte Springs, Fla., where the city pays a percentage of Uber rides to help get passengers to and from the rail station. While the plan is controversial, particularly because it excludes the poor who rely on buses, it does show some progress on solving the “first mile/ last mile” problem to which Uber and Lyft have long claimed to provide solutions. Both companies will likely make progress on autonomous vehicle research. Uber last year hired more than 40 faculty and researchers away from the prestigious robotics school at Carnegie Mellon University and inked a partnership with the University of Arizona, while Lyft this year teamed up with General Motors to collaborate on building a network of self-driving cars. While both Uber and Lyft are a long way away from making meaningful advancements in this area of research, they’ve laid the groundwork to make some progress this year. I am predicting that 2016 is the year where local governments start to regulate the industry with more emphasis, and this will have significant impact on the rideshare industry and workers alike. Having more rules means higher costs, less flexibility, and potentially big changes in how on-demand workers are employed. It is interesting to see how the companies will respond and how they will interact and work with their drivers. I also predict that in 2016, new players will be more wary of entering this market. Even though it was slightly earlier than some predicted, the industry is seeing consolidations through mergers and acquisitions. The major players such as Uber, Lyft, Didi, and Ola are starting to be clearly defined and take hold. The future challengers will need to be unique with clear differentiators, and they will be forced to find their niche. Educate Consumers and Drivers that tips are encouraged and can be accepted without repercussions. Educate Drivers on their rights as independent contractors (such as understanding they are free to use services like Vugo to increase their income and accepting tips). Educate Drivers on their tax liability and how to prepare their taxes to put more money in their pocket. Educate Drivers on the available options related to rideshare insurance and the massive gaps in insurance that may exist and what that means in the case of an auto accident without adequate coverage (period one, without a passenger or request). 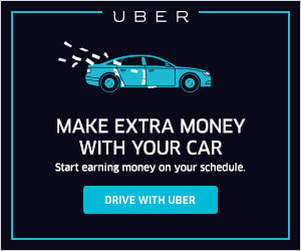 I would like drivers to start earning more money with Vugo Rideshare Advertising (Why wouldn’t you want to get paid more?) I expect drivers to earn a livable wage through organization. Seattle is a good example. Ultimately, I think many of these services are going to have to start raising prices in 2016, for a couple of reasons. On the one hand, you have governments and the courts addressing the issue of whether on-demand workers need to be treated more like employees. Uber dodged a bullet somewhat in 2015, but this issue is going to keep coming up, and over time it’s likely these companies will need to keep providing more for their workers, and that will raise costs. On the other hand, many of these businesses are running at a loss in an attempt to gain critical mass and dominant market share, but at some point you have to turn on the profit spigot, and that also means raising prices. For all that these companies tout the sheer convenience of their services as a differentiator, pricing has always been a major element of their differentiation too, and so to the extent that they have to raise prices, they lose some of their edge against the services they’re looking to replace. Workers may be happy about higher prices – there was some protest at Uber lowering prices in late 2015 and early 2016 in some markets – but if it impacts demand, that will cause problems too. The other thing I think you’ll see more of is diversification by these companies into related fields to expand their market opportunity, provide some protection against both competition and regulation in their core businesses, and in some cases to leverage the base of workers and customers they have in place for greater economies of scale and scope. So you’ll see more ride sharing services move into both general deliveries and more specialized areas like food delivery. In general, I do think we’ll see more rational pricing over time, where these companies have to start shifting from the high-growth phase to a phase where they make money. To the extent that talk about a valuation bubble continues, hitting profitability metrics will continue to become more and more important, especially for the number two and number three companies in any given market. The biggest concern for ridesharing drivers this year will be contending with reduced fares, as the price of business drops, in order to keep it competitive. Concern in the midterm future is the rise of self driving cars that will be introduced into Uber, Didi, and Lyft. I think the single biggest challenge for the on-demand economy in 2016 will continue to be hammering out protections for workers. Until the government, businesses, and society broadly can decide whether workers should be entitled to benefits and protections, startups will remain at risk and workers at these companies will therefore also face an uncertain future. In 2016, we can expect a lot of the efforts on the part of ridehail drivers and ridehail companies to come to a head. Between 2014 and 2015, Uber entered a number of new territories — from expanding into new countries, launching new services to exploring new technologies vis a vis driverless cars. In 2016, Uber will have to show its investors their money is being well spent. The company will have to go deeper into many of these countries and fight hard to upend the homegrown competitor’s advantage. Uber will have to scale its new services like UberEats and UberRush to show that the company CAN be an on-demand logistics company and it can do it well. And as the driverless market heats up, Uber may have to put more skin in the game. That is, Uber has to show that the money it poured into growth, expansion, and tech development was worth it and that they can continue to grow and develop and that the growth they’ve attained is both sustainable and profitable. In the first few months of 2016, Lyft has made it clear: it’s done being in Uber’s shadow. Lyft is just beginning to explore the territories Uber has conquered, and itself is pouring resources into scaling and becoming as ubiquitous as its older ridehail counterpart has become. Though Uber may have had the first-mover’s advantage, Lyft has had the benefit of being able to watch Uber test the waters and can now take a measured approach in places Uber flailed, or dive head first into places Uber may have paved the way. But in 2016 we can expect to see Lyft attempting to efficiently toe the line between subsidizing its growth and turning a profit, much like Uber has had to do. In 2016, drivers have already begun to see an unforeseen level of momentum in their efforts to organize protests and movements. But for the umpteenth time, the companies they’re protesting against have not budged, though staffers have extended their hand in a purported show of good faith from time to time. So increasingly, with the precedent the Seattle unionization vote has set, it’s likely we’ll see more drivers opting for a more formalized form of organizing either through unions or proprietary apps that are geared toward drivers’ needs. We’ll also be seeing the development of the precedent-setting class-action misclassification suit drivers have brought against Uber (now that the misclassification suit against Lyft has been settled). The single biggest issue of 2016 for on demand workers will be whether and how to wield collective influence with clients, societies, and governments, as on demand work expands to more workers and more types of work. Events such as the U.S. elections, immigration challenges and technological advances and opportunities will increasingly present on demand workers with choices about whether to pursue their interests independently or to connect and collaborate with others through representative organizations, social networks, or unions. The June trial vs Uber in SF will focus media attention on exploitive business practices. Continued bleeding of red ink will shine light on unsustainable business practices. Investors will eventually lose patience. Big obstacle: 50% of Americans seeking a job do not have access to a car that qualifies for driving on Lyft. We’re excited to address this for new drivers (as well as provide more options to existing drivers) in partnership with General Motors, providing ultimate flexibility and amazing rental rates at Lyft rental hubs. Major change coming: PwC says that 80% of people have never tried ridesharing. We expect the majority of urban millennials to move away from car ownership and shift their transportation spend to on-demand transportation. The single biggest challenge for the industry at large will be fundraising. Internet startups large and small have begun raising down rounds and shedding key staff. Investors, it seems, have reached their limit and will no longer financially support businesses that don’t meet their projected returns. On-demand delivery companies in particular will feel heat. Compared to Uber, these businesses require more labor training and have worse unit economics. If investor sentiment changes towards these companies, their subsidized prices will disappear and consumers will lose interest. In turn, many people that rely on these startups for income will find themselves looking elsewhere for work. Second place ridehailing companies must find loyal investors that believe that the market can support more than one player, in order to spend money attracting drivers and customers that increasingly default to Uber. For Uber specifically, mounting pressure from regulators will prevent it from appeasing both drivers and customers that want it to act more humanely. In the US, the famous class action lawsuit will prevent the company from making concessions to drivers (perhaps financial, perhaps related to the app), in fear that any tweaks will make it look like an employer rather than a platform. In Europe, Uber will remain stuck in a snail-paced battle with the law that will get more and more expensive. In Asia, the regulatory environment will continue to be very favorable. But Uber will face more pressure to see returns on its business in poor cities there. Luckily for Uber, its service is a proven winner. In most cities, it fills a genuine market void. All in all by the end of 2016 it will be clear that Uber is the winner of the past decade’s startup frenzy. But that will all soon feel irrelevant as the company’s legal challenges get worse. The Sharing Economy in general and on-demand transportation in particular should be about people sharing services and resources with each other. It’s not about individuals sharing a huge chunk of their income with the corporations that facilitate it. In the case of ridesharing, the major debate during 2016 will continue to revolve around companies not paying drivers enough. However, we need to have an entirely different debate. Ridesharing companies are not the ones who pay drivers. It’s exactly the opposite. We charge drivers for our services. That’s why they are our customers. And as such, they prefer to pay us less so they can make more. Commission based models are unsustainable. The major change we expect to see in 2016 is a transition to fair and equitable flat fee model for ridesharing platforms. 2016 may be an inflection point for ridesharing. Uber needs to recruit boatloads of new drivers because of its high turnover and the need to expand. Yet, they’ve cut prices and with lower unemployment and wages starting to rise this may become tougher. Plus, the huge class action suit in California this June is a dagger aimed at the heart of the Uber business model. For the past few years I’ve been pretty focused on the need for collaborative economy marketplaces in general and ridesharing networks (TNCs) specifically, to create more balance between how value is created and how it’s captured. That is, drivers create much of the value (and some of the risk) in the network, but don’t share the rewards. Rewards come in several flavors including: per ride split with platform, on aggregate value of the brand, network and platform over time and collective voice and benefits for drivers like sick days, and potentially discounts on insurance and vehicle repair. This discontinuity between how value is created versus how it’s shared is at the core of a growing chasm between drivers and the platform owners. My prediction is that we will see four things happen in the next 3-5 years. 1. As drivers grow weary of Uber and others, driver owned networks will take to the streets. Early versions have appeared in the form of services like Juno, Swift, the Uber Driver Network and the Black Car Club. While they will have limited success initially, driver discontent and autonomous vehicles for commercial use will create a ripple in the Uber-acceptance or the status quo to allow one or more of these networks to wield their power (if not as standalone huge players, at least in terms of more power for drivers). 2. I expect that initially, this driver-side shift that we’re seeing today will translate into better terms for the drivers among the existing winning networks as the on ramp of autonomous vehicles and the uptick of ridesharing are out of phase. Lyft, Uber and Didi Kuaidi can’t afford to pin all future goodness on autonomous vehicles while still fighting to have basic ridesharing approved city by city. 3. Drivers and other communities owning vehicles will lay claim to a piece of the value chain for bringing their ‘asset’ (cars) to the eventual autonomous network of ridesharing. 4. Riders rule. Customers are increasingly fickle and expectations are constantly moving up and to the right. This means that whenever there’s a snafu in an experience, nature abhors a vacuum. If you’re in the ridesharing business, no napping! The biggest hurdle will be the competition. There aren’t many barriers to entry (you need a car and a decent record). This means that more folks will get into driving and make it more competitive. For example, I met a guy on my recent trip who couldn’t even sign up for Uber in his home town in Colorado because Uber told him that they had too many drivers. This will be tough for drivers who were used to having many jobs. Now drivers will have to think of a strategy, drive during peak times, or wait around a while for the next ride. What I would love to see is added features to the ridesharing apps. I would like drivers to know where the passenger is going so that they can decide if they want to take the ride. I’ve been taken out of town in the wrong direction many times. Broadly, I think this will be a year of shake out in the on-demand category, with many still-nascent businesses struggling to keep the lights on under the weight of upside-down unit economics and a more discerning funding environment. Delivering real world goods and services remains a low-margin, logistics intensive proposition and the appetite for funding all but the most compelling of these businesses is waning. This means that many on-demand workers will be forced to seek opportunities with more established players (whether they like it or not). This will play into the hands of Uber, Lyft, et al, as they seek to scale their supply sides, but it will also have the effect of removing some of the choice from the market. This limited choice, combined with the above market focus on unit-economics suggests continued downward pressure on driver earnings. In the best case, this will be “made up through volume,” but on a per ride / per delivery / per mile basis, it will feel still like less. This said, I continue to believe that the concept of on-demand work is here to stay. The industry will continue to sort through its regulatory and insurance issues – though I don’t predict much resolution on either front in 2016 – but neither will be enough to derail this shift in the way labor is deployed. Even with the above consolidation, it feels inevitable that the balance of power between labor / employer will shift toward equality in the coming year(s) – whereas historically it’s been heavily tilted decidedly in the favor of the “employer.” As this category matures, I expect that the competition for labor will further intensify and regulatory scrutiny will grow. With these facts creating an opportunity for workers to assert their voices more loudly, I expect there to be greater organization among workers. It’s considerable that this could lead to changes like minimum guaranteed incomes, health benefits, and maintenance subsidies, from at least some employers. I also expect this shift toward the worker will precipitate better worker tools and services – both those provided by employers and those offered by third parties providers. Examples include alternative vehicle financing options, group purchasing platforms, schedule optimization tools, and more sophisticated 1099-oriented accounting & tax planning services, among others. So while the on-demand economy may not be the catch-all panacea that it was once made out to be, it remains a meaningful shift in how millions of workers will engage with businesses in the future. There are several major constituencies impacted by this shift, including employers, workers, regulators, and investors. The landscape will continue to mature and each group will suffer its lumps, but, at the end of the day, we will be better off collectively as a result. Everyone, regardless of employment classification, should have access to an affordable safety net that supports them when they’re injured, sick, in need of professional growth, or when it’s time to retire. As the on-demand economy makes visible many of the changes to work, the question becomes: what does the Social Contract 2.0 look like? This is now a question many are grappling with — including this letter signed by “strange bedfellows” offering design principles for such a social safety net, and the President himself in the State of the Union. Driver precariousness is undoubtedly one of the most important issues facing the industry, and in 2016, I hope that we will start to see demonstration projects of what a portable, pro-rated and universal social safety net could look like. I’d say the biggest issue and opportunity is driver ownership both with TNCs like Juno and worker-owned taxi cooperatives springing up. An interesting byproduct of Uber and Lyft’s lobbying efforts is that often more taxi medallions are made available. A good number of the new taxi companies are being formed by drivers as worker-owned cooperatives. The incentive to organize this way is huge as drivers can get better wages and working conditions than working for a TNC or taxi company. And taxi co-ops can compete effectively in the war for driving talent. This is a really big yet under-appreciated opportunity for drivers and also the cities they work in. Cities should support this solution more as it keeps revenues local and creates fair wage jobs, as opposed to Uber, which wants nothing more than to vacuum as much revenue from their local markets as possible while planning to replace drivers with autonomous cars. The biggest hurdle in 2016 is going to be the continued struggle between shifting demand landscapes while the workers (supply side of the equation) strive for a new kind of professionalism in the on-demand economy. We’re not going to see the truly on-demand workers transitioned to employee-based classifications, but the 1099 gap in income stability and personal risk management is going to continue to be the biggest threat to the industry. A second hurdle is that 2016 is going to be the year we see a handful more security (and privacy) issues blow up, forcing users and workers to address the question: “Have we gotten too comfortable with this sharing thing?” I think the industry will weather the storm — and a healthy dose of renewed consciousness over getting in strangers’ cars (and vice versa) won’t be the worst thing for us as consumers and ‘sharers’. If I can be a dreamer for a minute, I’d want 2016 to be the year that a lawmaking body steps up to say “we’re going to embrace the Future of Work by offering a more flexible classification system.” I don’t expect the end-goal change to happen this year, but the opportunity to work with lawmakers and demonstrate (key word!) alternatives is at our fingertips. We need to see as much innovation on the regulatory side as we’ve seen by on-demand platforms. Some companies may take a leap and start paying for more worker protection this year — and we’ll continue to see new on-demand economy-specific coverage products released — but innovation needs to take place in Washington, D.C. too. That’s going to be a tough ask in an election year, but I have my fingers crossed. With the latest round of rate cuts, and notices stating that many of these are now permanent, 2016 will be a tough year for many markets. Driving for rideshare companies has finally reached the threshold of profit vs loss. Sadly, many drivers won’t understand the true cost of driving, until they are faced with repairing their vehicle. At which point, it’s too late. I recently took an Uber as a passenger in OKC. The driver was in a four-door F150. I asked the driver a couple questions. 1) How long have you been driving? 2) How are you making a profit at $0.70/mi driving a big truck? He told me he’d only been driving a few months, and he really wasn’t sure if he was making a profit. He had no idea. Sadly, Uber is using this mindset to their advantage. Countless drivers continue to flood on-board, while veteran drivers drop off. If you are in a market with surge, you still have a chance. Know when and where to be online, and you can make some decent money. Otherwise, I’m at a loss. 2016 should be a tough year. I’m still somewhat optimistic that rates will come up, at least close to $1/mi. I personally believe if you drive for less than $1/mi with no subsidies, and no surge, you are driving on that thin line of profit vs loss in most cases. I wish everyone the best, Uber on! The hurdles to ridesharing are ‘success disasters’ — increased use of the systems typically ratchet up consumer expectations of the service. That will translate to consumers wanting shorter dwell times and even more logical routing. The companies that don’t keep up with those trends — which tend to be more extreme in urban environments where use is heavier — will fall prey to competitors. In 2016 we will see more of GOLD (the anti-Uber alliance: Grabtaxi, Ola, Lyft, Didi) starting to congeal around a more formal partnership. As of March 2016 they have already raised more equity dollars than Uber, which is a landmark moment. On demand workers have many viable options to choose from in today’s economy (passenger pickup, food delivery, package delivery, etc). This allows for multiple side-gigs for supplemental income. The challenge is that there can often be too many options, not just for which company to partner with, but also the platforms within the company that the on demand worker is asked to abide by. For example, on demand workers that prefer to avoid a particular commuting type platform that ride-hail companies offer, feel like they are singled out and in some cases, forced to provide service on that platform. There can be valid reasons for why an on demand worker would temporarily need the ability to avoid such requests (time they can provide during the day, safety/security concerns, etc.) yet still be able to provide trips on the standard platform. Currently they have to be able to accept both, or risk decrease of acceptance rate/increase of cancellation rate. This impacts the quality of service the on demand worker can provide, both directly and indirectly. The morale of the on demand worker can sometimes be questioned, which could impact the perception of their attitude and the experience they provide a guest. Indirectly it also impacts the experience, as passengers (guests) will see more cancellation notifications and wait longer to receive an available ride. This may saturate the market with less than quality workers, as extraordinary quality workers might stop providing services on the platform, while others that may not have the necessary tools and resources to provide an Extraordinary Experience are left to accept available trips. It would be great for the ridehail companies to offer the temporary ability to opt-out of a commuting type platform for a certain number of hours (for example 2 hour periods at time). I understand the need to get as many drivers as possible to accept these requests, but by offering a temporary opt-out period, ridehail companies will be able to show themselves as addressing a concern of on demand workers, while still ensuring there is not a permanent opt-out. I also suggest that they make available, at the discretion and choice of the on demand worker, the option to take consulting classes that will help build and expand upon their ability to provide quality service to their guests. Consulting companies such as R3Z Solutions (yes, strategic branding intended), provide conversations with the partners to help identify better approaches to negative customer experience. We call this the I Can Help Attitude and by doing so we are able to enhance perceptive behaviors, using self-discovery techniques, which will allow on-demand workers to deliver Extraordinary Experiences and improve quality. I think the biggest issue facing on demand workers in 2016 will be maintaining the financial viability of their efforts/time. In other words, to avoid being taken advantage of by the on demand companies as they become bigger and more powerful. 1. More pushback from traditional companies as they confront the increased competition for the on demand economy. 2. More labor push to have on demand workers classified as employees to protect their rights. The single biggest hurdle for the rideshare industry is whether they can retain enough quality drivers to provide the product that makes Uber and Lyft so valuable. Anybody who has been paying attention realizes there’s been a slow uprising of drivers against Uber at least, due to the incessant decline in pay. I think we’re at a point now where driving FT is definitely not worth doing anymore. Only driving as a side gig might be worthwhile. But pretty soon, driving won’t be worth doing as a side gig either. For example, many rides in expensive San Francisco only pay the driver $3-something after the fees and commissions. The long term repercussion of lower wages is, unfortunately, lower quality drivers. 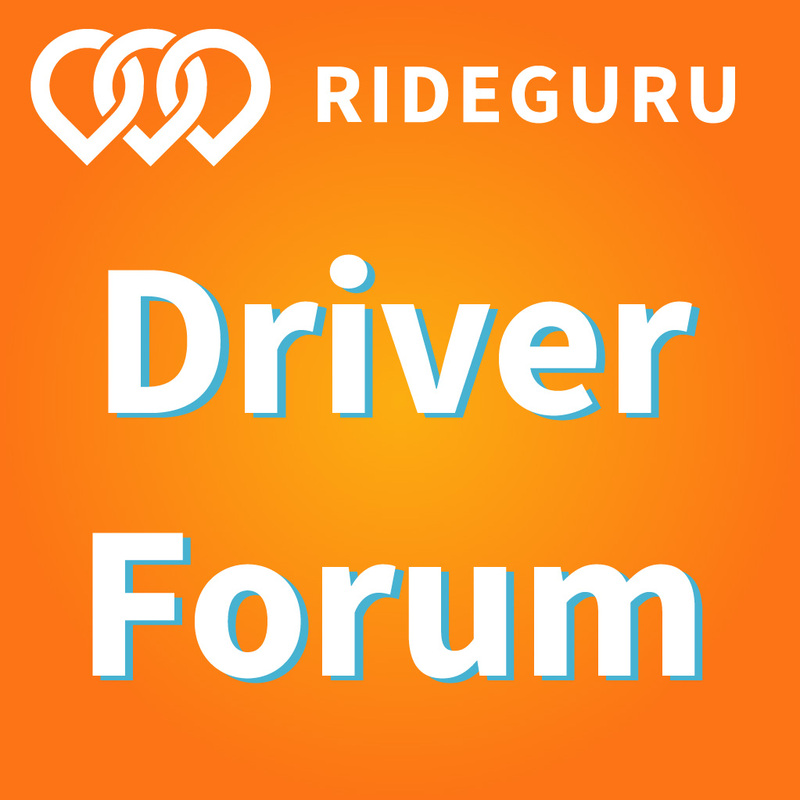 With lower quality drivers, there will be poorer rider experiences, which will ultimately hurt everyone. The income guarantees Uber provides during primetime hours is not enough, because many people don’t want to drive during heavy traffic hours. And if you are now a part-time driver due to low pay, the last thing you want to do is drive during primetime. Instead of driving so much, people should leverage the internet and start their own website instead to make more passive income. Everybody wants more freedom to do what they want. When you’re driving, you can only earn so much. But with your own website, upside is unlimited. I expect more and more gig industry companies to provide better pay and benefits to gig workers over the years. They have to, to retain their people and provide as high of a service product as possible. The gig industry is hollowing out the full-time work industry due to flexibility. Now the full-time industry is figuring out ways to compete to lure folks back. Everything works in cycles until we end up where both work industries look relatively similar in the long run. Probably a little predictable: the driving issue this year (sorry for the terrible pun) will be how ridehailing companies weather a possible court-mandated shift to reclassify drivers as employees while simultaneously dealing with investors who are more and more nervous about wild, irresponsible spending. My guess is the market is about to become nearly impenetrable for new ride-hailing startups and some existing ones will have to scale back their ambitions or merge to survive. Even Uber may eventually have to back down a bit in certain markets like China, where it’s blowing $1 billion a year. 2016 will be the year we stop forcing people to choose between the flexibility of the on-demand economy and the stability of a traditional job. Fortunately, solutions are on the horizon. Expect to hear more about a system of “Portable Benefits,” which will extend our safety net to cover independent contractors. Portable Benefits will make benefits universally accessible, portable from job to job, and most interestingly, on-demand platforms would contribute to the cost of benefits on a pro-rata basis (such as a contribution for each hour worked) if enabling legislation is passed. As we dive further into the Future of Work, we must help shape it to be a version of the future that we want to see. A major challenge for on-demand economy companies in 2016 will be attracting and retaining qualified workers. The continued growth of the on-demand economy is leading to a greater need for workers, which is increasing worker competition. Adding to this is a strong overall job market, which is making employment options outside of the on-demand economy more numerous and attractive. Due to these competitive pressures, on-demand economy companies will likely need to improve their compensation levels to continue to attract and retain workers. * Driver’s lawsuit. By far the most important looming event is the battle royale that will launch in June 2016 in a federal courtroom in San Francisco. The combatants? Uber versus its drivers. Thousands of Uber drivers in California have filed a class action lawsuit claiming they are employees of the company but have been misclassified by Uber as independent contractors. The outcome could completely overturn the Uber model. If Uber loses, the company will appeal and it will drag out in courts for years. But venture capital funding will likely get extremely nervous at that point – forcing an IPO? (More on that below). * Another pay cut for drivers and continued driver attrition. Uber has long been fighting it’s price wars with taxi and Lyft on the backs of its drivers. How long can Uber keep burning through drivers? The company’s own numbers show that half its drivers last a year on its platform. In San Francisco, where I live, Uber set up a table at the local gas station, trying to recruit males pumping gas as drivers. It was like a bake sale table, that’s how desperate Uber is. Is there a bottom? * Continued increase in traffic congestion – substantially due to ridesharing. With the ridesharing juggernaut having expanded so rapidly, already-traffic choked cities have become even more so. You can’t just flood city streets with thousands of additional cars and not expect knock on effects, such as greater traffic congestion, increased carbon emissions, inexperienced drivers blocking bus stops and bicycle lanes, and more. From San Francisco to Seattle to London to New York City, congestion is becoming a pressing quality-of-life issue. It’s great to tap your app and have your own “private chauffeur ” show up in 10 minutes, but in a clash of conveniences it now takes 20 minutes longer to get anywhere. This will be the year that cities wake up to the considerable environmental downsides of ridesharing. * Looser regulations on taxis? Greater merging between taxis and ridesharing? Taxis and ridesharing offer the exact same service, yet they are subjected to dramatically different regulations. I think we may see a loosening of regulations on taxis, particularly an allowance for a greater supply of taxis. The lack of available taxis and the difficulty in hailing a taxi is what gave Uber its commercial opening to begin with. As taxi regulations in the US loosen up, and taxi companies start incorporating their own app and other ridesharing-like features, we might see a major shift. In Berlin (where I currently am), and in many other European cities, taxi service has always been way better than in the US, and Uber has found it more difficult to gain a foothold. In Berlin, when you tap your Uber app and call for a car, a taxi shows up. There are no private individuals driving their own private cars, only taxis that also drive for Uber. In other words, taxi companies and ridesharing are beginning to merge. * Forget driverless cars. Despite how much Uber CEO Travis Kalanick likes to crow about our driverless future, and despite Lyft’s recently announced development partnership with General Motors, outside of a Star Trek movie this one is…not…happening… anytime… soon. Besides the remaining technological challenges, the liability issues are huge. Every driver makes hundreds of daily driving decisions that, strictly speaking, break the driving laws (for example, crossing the yellow line to pull around a double-parked vehicle). It all works out fine because of something called human judgment. But what company is going to program its driverless cars to break the law? And what regulators will approve that product for widespread use, knowing that it has been programmed to break the law? * Year of the Unicorn IPOs. Uber, Lyft, Airbnb, Pinterest and Snapchat will move closer into IPO orbit, driven by the Federal Reserve’s first rate hike in more than nine years. The Fed’s quarter-point hike in December is likely to be the first of two or three (though likely staying pat at March’s meeting), which may force these companies’ hands. The past decade’s low-interest environment has made it really cheap for these companies to fund their own growth by borrowing private capital through venture funds, which could get higher yields for their money from these unicorn companies. But as interest rates creep up, government bonds will become more attractive and the unicorns will find fewer investors (already since the December rate hike, venture funding has declined dramatically). So that will likely force them into the stock market in order to raise private capital as a way to fund their ongoing grab for market share. But going public means it won’t be so easy anymore for these companies to play hide-and-seek with their cherry-picked data. It’s not clear that any of these companies are profitable or able to thrive without being subsidized by deep-pocketed venture capitalists. An IPO and its aftermath will provide more of a glimpse behind the Wizard of Oz curtain. Following other notorious IPO flops that began with flashy debuts at Square, Alibaba, Box, GoPro and Fitbit, the Wall Street Journal wrote, “the data suggest that even some of the most promising startups in Silicon Valley might be worth far less in the eyes of the rest of the investment world.” The frothy hype of the ridesharing/sharing economy startups may be in for a rude dust-up. * Continued mistreatment of drivers. As was reported by The Rideshare Guy, recently Uber cut off hundreds (and possibly over a thousand) of drivers from its platform in Los Angeles and San Francisco because those drivers “acceptance rate” was too low. Many veteran drivers have figured out that, given the dramatic increase in traffic congestion (much of it caused by Uber’s service flooding our streets with thousands of cars), drivers don’t make any money on short rides because they are stuck in traffic. They have begun refusing short rides, so Uber fired all of these drivers without warning. But think about it: if these drivers really are the “CEOs of their own driving business,” as Uber likes to claim, shouldn’t they be able to refuse a ride they know will cause them to lose money? This incident and others show that Uber exerts beaucoup control over its drivers, which seems to support the legal claim by drivers that they are employees, not contractors. See you in court, Mr. Kalanick! We will likely continue to see the new “big corporates” (did someone say Uber?) continuing to squeeze the on demand worker. As a result, we should expect increasing worker churn rates, as workers become disillusioned with the promise of flexible hours and decent pay, resulting in lower quality of service to consumers. We’ll continue to see on-demand in more and more verticals. This will likely accelerate in the event of an economic downturn. This makes life easier for consumers, but does not necessarily imply better quality, specifically in verticals driven by a pricing race to the bottom. No surprise here, but it’s all about safety given the Kalamazoo incident and other recent concerns. Whether it’s stronger background checks, in-person interviews, or better mechanisms for customer service — Uber should offer a 24/7 phone support line, for example — safety needs to be paramount for these companies. Given that I’m in Seattle, we’ll also be watching the union bill that passed through City Council late last year. Will Uber or Lyft sue the city on grounds that the law is illegal? Do drivers even want a union? Will rates go up? I’m also interested in Uber’s other verticals, like food delivery — will that catch on? What will make it different than Seamless, DoorDash, etc.? And will Uber continue to expand its package delivery service? In 2016, ride-sharing companies will have to come to grips with the fact that keeping drivers happy is as important as keeping customers happy. The company that best serves its drivers will end up having a competitive edge. The supply of drivers is not infinite. The last year has shown that Uber can push down driver income and still get drivers, but then the company still has a lot of slack financially. It’s not clear how much Uber is subsidizing rides, but on the way to an IPO it has huge pressure to grow, a lot of money to spend, and it doesn’t have to show anyone its books. If Uber IPOs then it may have to start being more accountable, and we can expect drivers to end up being squeezed even more. We’ve also seen Uber move away from its high income claims (like the infamous $90,000 number) towards emphasizing the increasingly casual nature of its driver base. It’s the full-time drivers who seem to be getting squeezed, and I expect them to have the hardest time. Maybe drivers know more about this, but when it comes to termination and discipline, Uber and Lyft are almost entirely unaccountable at the moment. We hear stories of arbitrary terminations, but we don’t know how widespread the practices are. I have no idea how the 1099 cases are going to shake out, but I hope to see a measure of accountability about the terms and conditions Uber imposes on its drivers. I’m watching to see what happens with the worker misclassification lawsuits that have been brought against Uber and other similar start-ups that rely on independent contractors. Who settles? Who fights? Who gets screwed over? I honestly don’t know. I do believe the outcomes of these lawsuits are being closely watched by start-ups in/entering the on-demand market, and whatever happens will affect how those companies structure themselves. I also think it will give existing employment laws and regulations a thorough shake. Good luck to the law makers tasked with figuring this one out. Thanks to everyone who participated in this year’s round-up! What predictions stood out to you and what do you think will happen in 2016?